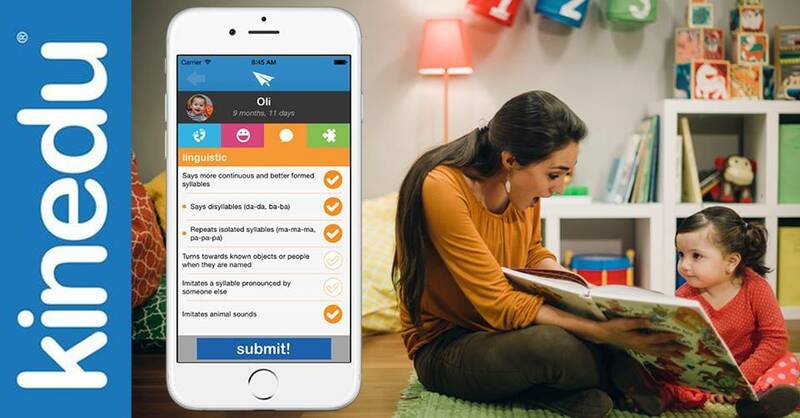 Because you asked for it – now, with Kinedu 2.0 you can easily update your baby’s milestones at any time! We’ve made it simpler to keep track of your child’s huge accomplishments (as well as each little one!). Presenting Milestones, a new section of our app. You might be wondering how it works; it’s quite simple! This section presents a list of developmentally appropriate milestones according to your child’s age. That way, you know what milestones you should expect in the upcoming months! You can update the list at any time and record what milestones your child has reached. Simply check them off – the checkmarks that are filled out represent accomplished milestones! You can select different developmental areas to assess: physical, social and emotional, linguistic, and cognitive. When you are done reviewing the milestones, click on the Submit button below. You might notice that some milestones are presented as a bullet below other milestones. Those represent milestones that are related to one another, and accomplishing the first in some cases automatically means the bullets below have been reached as well, in most cases they will help you look out for more specific behaviors related to a milestone. We know that it’s exciting when your baby reaches a new milestone, and now you can keep track of each one! Download Kinedu 2.0 today! Click here. Kinedu 2.0: The new and improved progress report!